The remarks by Gou have clarified a murky situation, laden with rumors and speculation. Gou has specifically said that Foxconn is discussing investment terms with the Indian government, in regards to plant expansion. "In the future we will play a very important role in India's smartphone industry," Gou said, at the same event that he announced that he was stepping down as CEO of the company. "We have moved our production lines there." Despite some of the rumors cleared up, it isn't clear exactly how this impacts what Foxconn builds in China, nor specifically what the company will assemble in India. A report on April 12 suggested that the iPhone X would be the newest model built by Foxconn in India. "We are the primary assembler after all," Gou said. "If our customer wants to boost its scale, it will need to depend on us to grow the comprehensive supply chain." "For Foxconn, the China market for iPhones is saturated, and labor costs are three times higher compared with India," Counterpoint Research analyst Karn Chauhan told Bloomberg in regards to the development. "India is still an emerging smartphone market, it has a lot of potential domestically and could serve as an export hub for the region." 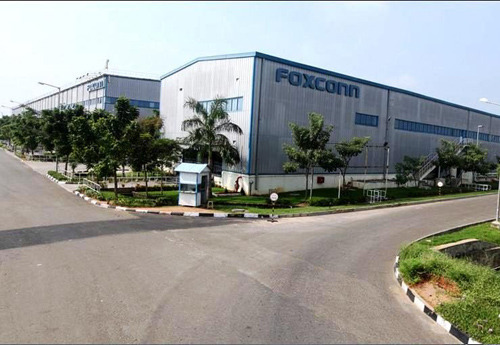 Foxconn has a presence in India already, assembling devices for myriad companies. The move would ease Foxconn's reliance on China —and potentially also reduce the impact of any possible US-China trade war on Apple. For similar reasons, Foxconn has also been reportedly considering moving production to Vietnam. Unlike Vietnam, however, a move to India would also help another issue facing Apple. India imposes stiff taxes on imports, to encourage manufacturers selling phones in that country to also make them there. Apple has already looked to producing refurb iPhones to fulfill this obligation. Foxconn competitor Wistron has been building the iPhone SE since 2017 for the local market in India. It has recently expanded into manufacturing the iPhone 7.